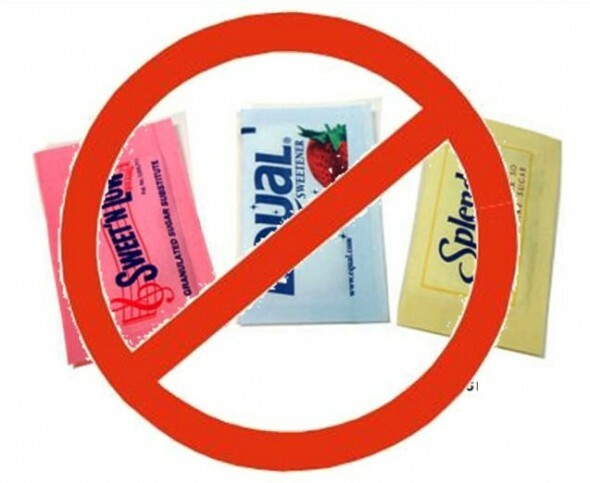 Dr.Mercola, a New York Times Best Selling author, wrote this extensive summary of multiple studies that all reveal artificial sweeteners to be diet losers in the end. Truly, if you were to just eat real food, I swear you would lose weight eating whatever you want! Why? Because your body would get all the nutrients it needs, thereby eliminating food cravings. Additionally, your body knows how to process real food. 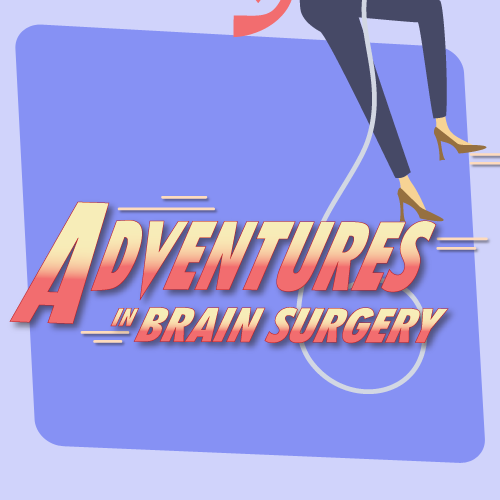 If you’re eating artificial sweeteners, you’re playing a mind-game. Mind-games with food are my personal enemy: this is why I never read calories or fat grams. If I could find it in nature, I will eat it, regardless of fat grams or calories. If it comes in a package with scientifically engineered ingredients, I will pass. Click here to read the full article by Joseph Mercola D.O. This holiday season I’m delighted to share with you Coconut Palm Sugar, a wonderful sweetener that I discovered on my honeymoon in Thailand. Granulated Palm Sugar has a very similar look and taste to Brown Sugar, but a much lower glycemic index (35 GI versus brown sugar’s 64), thus making Palm Sugar the perfect substitute for baking, sweetening my oatmeal, and other Brown Sugar like uses. Additionally, Palm Sugar is naturally rich in potassium, magnesium, zinc, and iron, and is a natural source of vitamins B1, B2, B3, B6 and C (more info here). 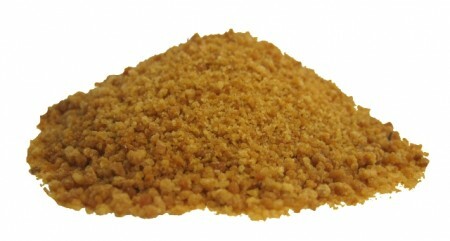 The caramel like sugar comes from evaporating palm flower nectar before it blossoms into a coconut. Whoo la la, who knew?! 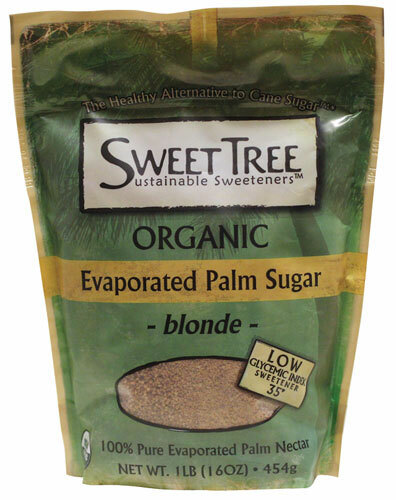 As always, I recommend organic Palm Sugar, like this one by Sweet Tree. I bought this bag at Whole Foods and used it promptly to make my Gluten Free Peanut Butter Chocolate Chip cookies (recipe here)! For more information- Google it! Sorry, that’s an obvious statement, but really, there’re a lot of sites that wax poetic about this lovely sweetener. Enjoy! A sad half heart for soda! 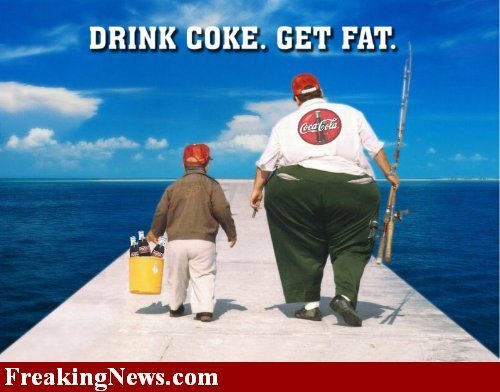 Soda has been linked to pancreatic cancer, heart risks, rotting teeth, and of course, obesity. I know a guy who simply cut soda out of his diet and quickly dropped 15 pounds. Wop-babaloo-bop, there you go. And for you diet soda fans who drink a beverage as a snack or food substitute, you’re drowning your insides in chemicals for nothing: studies show that “artificial sweeteners increase weight gain odds.” Studies also show that even sugar free sodas result in an increased incidence of metabolic syndrome (“a cluster of risk factors linked to diabetes and heart disease”). Anyway, it’s a complete waist of calories to drink them, if you ask me. I’m a huge fan of the tall glass of water! If you need caffeine, drink tea! Tea can have incredible benefits for your body. Finally, if you must must must have actual soda, try natural brands made with real sweeteners (NO High Fructose Corn Syrup!!) and fewer calories. High Fructose Corn Syrup versus Sugar: What is the difference? Nothing is more maddening to me then watching a commercial of a woman walking through fields of corn and saying “Sugar is sugar- it’s all the same.” High Fructose Corn Syrup is NOT biochemically the same as Sugar, nor is it processed by the body in the same way. In his important book, The Blood Sugar Solution, Dr. Hyman explains that HFCS goes through a chemical process that makes it sweeter than Cane Sugar. There is no digestion required for HFCS, which makes it more rapidly absorbed into your blood stream. As HFCS goes right to the liver, it triggers the production of cholesterol and fats like triglycerides which then leads to fatty liver. Fatty liver is affecting 70 million people in this country! Furthermore, the rapid absorption of glucose creates big spikes in insulin. According to Dr. Hyman, “Both these features of HFCS lead to increased metabolic disturbances that drive increases in appetite, weight gain, diabetes, heart disease, cancer, dementia, and more.” Yikes! Sugar is no angel and can cause weight gain, energy loss, and a host of other ailments as well. That said, if you are going to have something sweet, reach for something made with real, pure cane sugar, and not highly processed, Mercury laden, Genetically Modified, High Fructose Corn Syrup. To check out Dr. Mark Hyman’s book, the Blood Sugar Solution, click here.